Bristol is FAR more than just a cheap place to lay your head when you're visiting Bath. Firstly, Bristol's maritime and industrial history tells its own dramatic tale. Secondly, its architecture is incredibly impressive, with a particularly famous contribution by Brunel - the Clifton Suspension Bridge - and some lovely Victorian and Georgian set pieces. And thirdly, it's a particularly vibrant place to be - there's a healthy arts and music scene whilst the streets are packed with cutting-edge restaurants, bars and world-class museums. The range of accommodation is wide too, with the best places to stay in Bristol ranging from traditional establishments to chic guesthouses. Once Bristol's docks had the look of being used up and discarded, as this city's great industries, shipbuilding, the railway and manufacturing, moved out. But these days they've been polished up and this is where you can find some of Bristol's must-see treasures. One such example is the SS Great Britain, Brunel's great vessel, and the world's first iron hulled, screw propeller-driven, steam powered passenger liner. Almost 100metres long, she could manage the Atlantic crossing to New York in just 14 days. Next to the SS Great Britain, which is in dry dock, set upon a 'glass sea', is the Maritime Heritage Centre, also definitely worth a look in. Bristol's new M Shed museum has been built inside a massive old warehouse by the docks, and it's also worth a visit - especially seeing as it's free. It's a social history museum about Bristol, which might sound a bit dry until you realise that quite a bit of interest has happened here, including the docking of slave ships and Wallace and Gromit. As befits a city of this size, Bristol has great entertainment options, like leafy parks, a zoo and an aquarium. It's also got an excellent art gallery, an observatory, and an older part of town with beautiful architecture, markets and plenty of shopping. As the home of Banksy, it's known for its excellent street art. Be sure to head up the Cabot Tower, located just behind George Street and Park Street. It's free to enter and you'll love the spectacular views from the top! Take in a show at the Old Vic which, despite not being the biggest theatre around, is wonderfully atmospheric and intimate. One of Britain's best known theatres, the quality of acting on display is always superb. Spend an afternoon wandering around Brunel's SS Great Britain. Discover all about life aboard the ship in the Victorian age with their captivating displays and cabin reenactments (including authentic smells!). A fascinating visit. The Clifton Suspension Bridge, one of Bristol's most iconic spots, is well worth taking in. As well as being architecturally impressive, it also offers splendid views of the surrounding area. Bristol Museum & Art Gallery has a wide range of exhibitions that'll be sure to please all members of the family - including one on the prehistoric Pleiosaurus! So, as you can see Bristol has a very varied and meaty cultural life to get your teeth into! 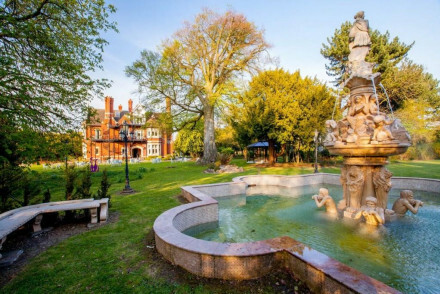 Many of the best places to stay in Bristol reflect this rich cultural atmosphere and offer accommodation that's a little different from the norm. If you're looking for something a bit unique you'll be wanting No 38 Clifton, a stylish and intimate Geogrian townhouse in elevated Clifton, with stunning views over the city and countryside. No 38 also does spa breaks in conjunction with the famous Bristol Lido. The Bristol offer stylish and contemporary accommodation as well as boasting its own waterfront restaurant. 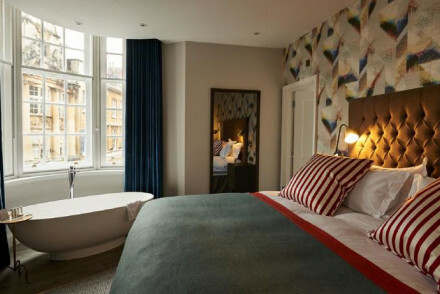 Situated in Bristol's cobbled harbour quarter, this is a chic city stay. Paintworks, Bristol features five urban loft-style apartments designed in an ultra-modern style. With funky yet chic interiors and a wonderful sense of privacy, you'll love the ambiance of this place. 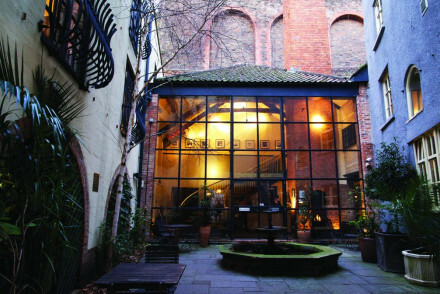 Brooks Guesthouse is located in the heart of Bristol's Old Town, around the corner from many of the main attractions. Choose between spending the night in a classically decorated bedroom or instead opt for a winnebago, a quirky alternative! 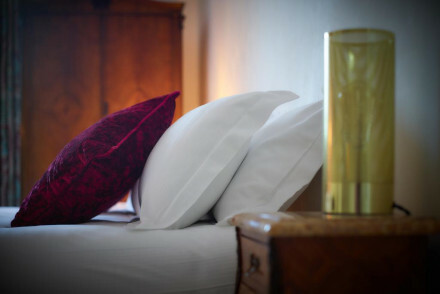 Bristol Harbour Hotel combines lavish style with contemporary comforts. Their rooms are elegant yet cosy, whilst you're also ideally situated to see all that the city has to offer. Plus, there's a lively bar and plush spa. You're probably best off visiting between April and September, when the weather's fairly temperate and the city's full of festivals and many other events to keep you entertained. The best months weather-wise to visit are definitely July and August, with an average temperature of 18°C. That said, this is peak tourist season so expect there to be a fair number of tourists and accommodation will be more expensives. Bristol Airport serves a wide variety of international destinations and is served by direct flights from Edinburgh, Glasgow, Newcastle and Belfast with Easyjet, as well as from Dublin with Aer Lingus. To get to the city centre, you can hop on the Airport Flyer Express which runs every ten minutes - costing £7 for a single and £11 for a double. If you're heading onto somewhere else via rail then the bus stops directly outside the train station. 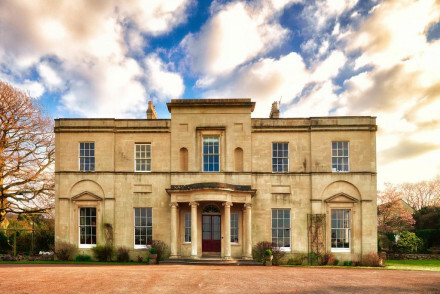 Browse through our list of all the best places to stay in Bristol. 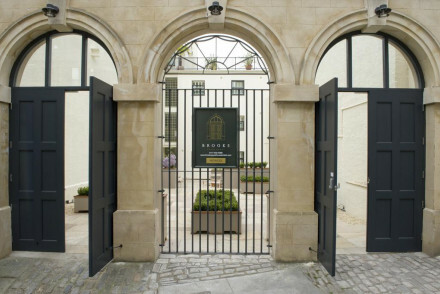 Widen the net and search through our list of all the best places to stay in Bath. Stylish and intimate townhouse accommodation in Bristol – a real home from home. The elevated position provides stunning views over city and countryside alike. A classy spot for relaxing city break or base for exploring the area. Located in Bristol's Old Town, Brooks Guesthouse enjoys an excellent location. Choose from novel winnebago accommodation or classically decorated bedrooms - all fitted with mod-cons such as i-pod docks, TVs and DVD players. Superb locally sourced breakfasts are served each morning. A great stay. An adults only getaway in the quiet countryside outside Bristol. This Georgian country house features a mix of accommodation - some rooms country-chic in style, others classically traditional. Gorgeous meals served up in their 2 AA Rosette restaurant. A first-rate sophisticated retreat! A small hotel located in the centre of Bristol in a pretty Georgian townhouse. Cleanly designed rooms feature crisp white linen, beamed ceilings, pops of colour coming from the soft furnishings and contemporary bathrooms. A convenient base for exploring the city. City Style - A boutique property located on a pretty Georgian square conveniently near to the city centre. Great walks - Take a stroll along the scenic Kennet and Avon canal path. Sights nearby - View the iconic Victorian Clifton Bridge. 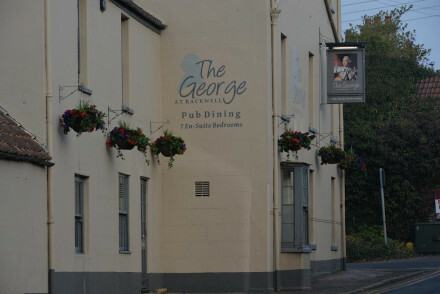 A charming Inn with seven individually styled rooms located in a village just outside Bristol. Contemporary styled throughout, rooms feature crisp white linen, patterned bed throws and smart bathrooms. An atmospheric restaurant and bar serves hearty British fare. Short fly break - Ideally positioned for a night's stay when coming or going to Bristol Airport. Great walks - Head out of the village and explore the picturesque Somerset countryside. Just to west of Bristol, Berwick Lodge is a magnificent Manor House Hotel. Ornate and elegant, the rooms are decorated with luxurious beds and tasteful artwork. The Lodge's 2AA Rosette restaurant is excellent and focuses on seasonal British cuisine. 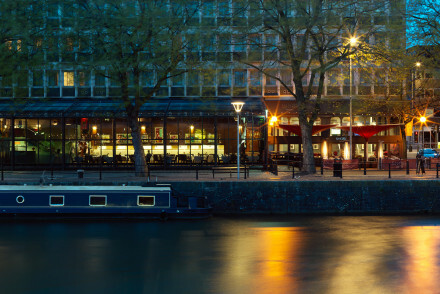 Sights nearby - Take a trip into Bristol and explore the city's sights and lights. Great walks - The surrounding gardens and countryside are perfect for walking. 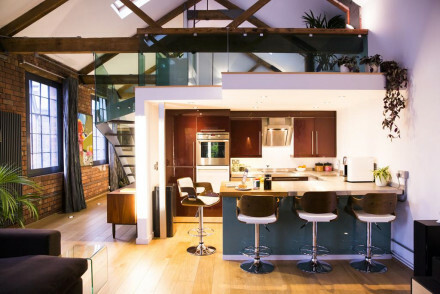 A stylish converted warehouse in the heart of Bristol. Loft style rooms are spacious and moody with fabulous contemporary bathrooms. A fantastic bistro and invariably good wine list are worthy of a visit alone. City Style - Loft style rooms, a fantastic French restaurant and a great location. Great walks - Take a stroll along the scenic Kennet and Avon Canal. A large yet discreet, contemporary hotel in a quiet, central location with a waterfront restaurant, gym and free parking. Recommended for both business and social occasions. Five urban loft-style apartments make for an unusual alternative to Bristol's rather conservative accommodation. Spacious, self-contained and oozing contemporary style. Young couples and creatives will love the funky vibe. City Style - Contemporary luxury in the heart of the city. Sights nearby - Visit the 32 meter Cabot Tower dating back to 1897. 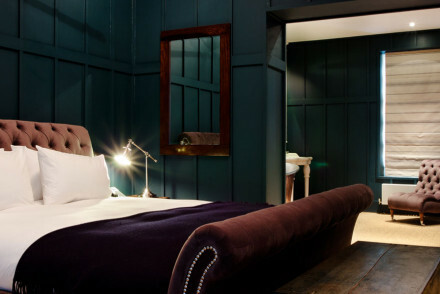 A hip statement hotel in the centre of Bristol. It has its own award-winning Jetty restaurant serving fabulous seasonal fish dishes, funky elongated bar with live DJs and cavernous spa in the bank’s former vaults. Bedrooms are comfortable and chic and staff are welcoming. City Style - With an award winning restaurant, a plush spa and knockout cocktails it's the perfect hip base for exploring Bristol. Local markets - Only a two minute walk from St Nicholas Market. Sights nearby - Visit the iconic Clifton Suspension Bridge.